Kindergarteners are excited for Christmas and are busy writing, calculating, and celebrating Christmas. One of the activities we are doing is labeling chains to count down December until Christmas. 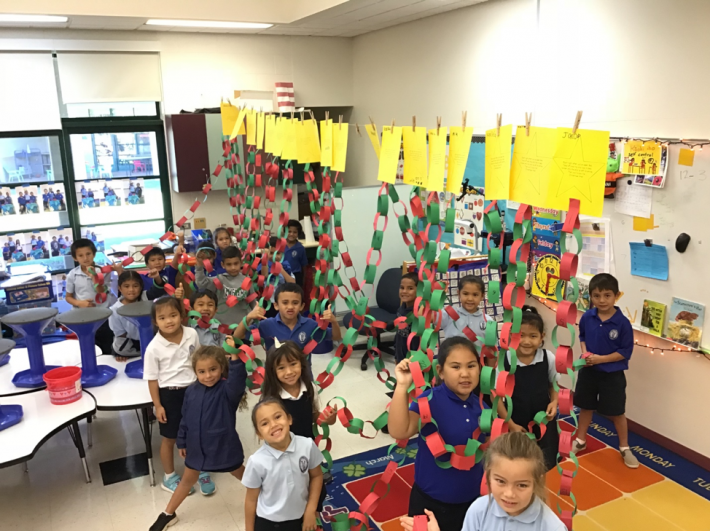 Each day students remove one link from their chain until Christmas. Kindergarteners will also be taking a sphere and two cylinders, to make gingerbread people that demonstrate their understanding of symmetry and patterning. 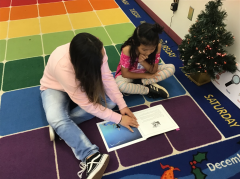 We have also been reading stories to use our comprehension strategies to make connections, inferences, and determining importance. 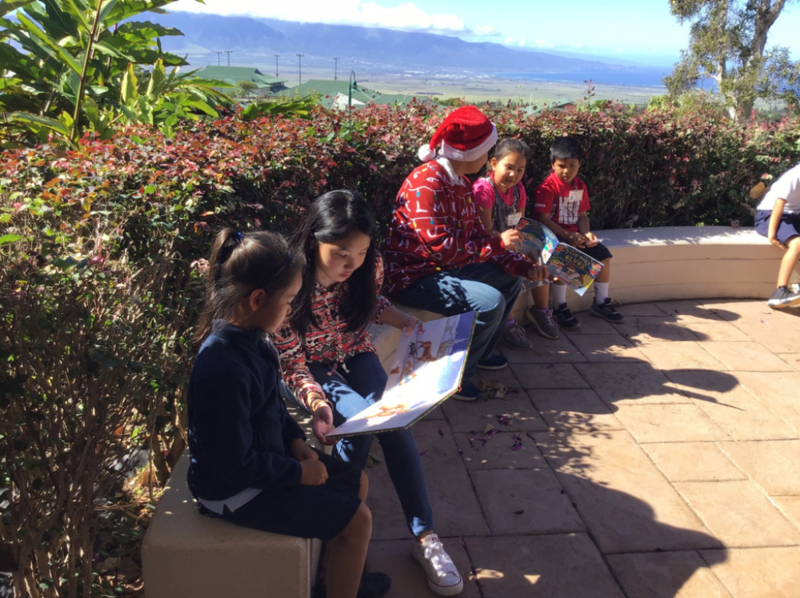 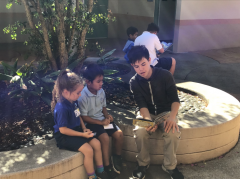 To practice our comprehension strategies, High School Kaliko Class (Enrichment Class) Hogwart’s Maui students led by Kalena Laepa`a, Kaui Podlewski, Chauna Rickard, and Lori Guntzl came to read Christmas stories. 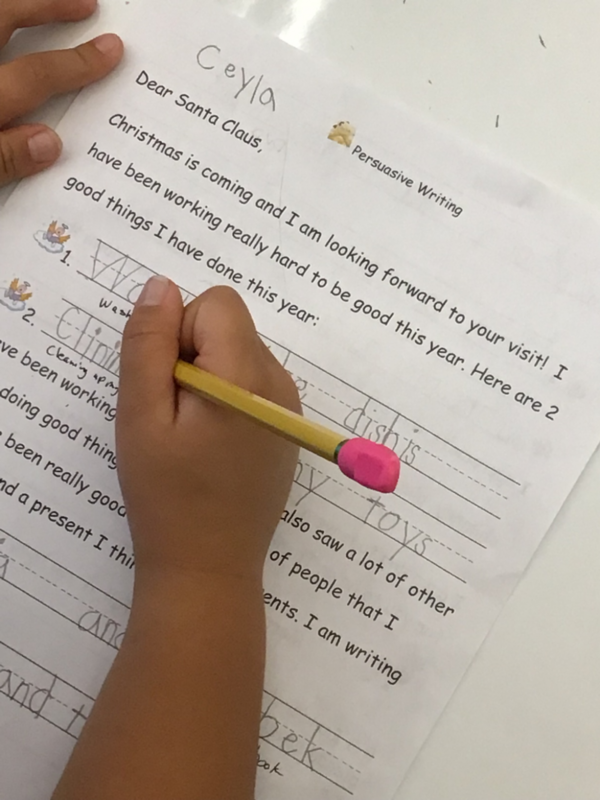 We have also been working on persuasive writing to justify to Santa how well we have been behaving. 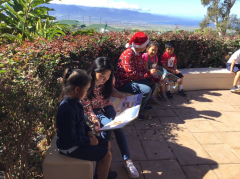 Building on Mr. Kimoto’s lessons on giving, we wrote letters to Santa asking him to give presents to others.